As this year's Chesed Race (our annual tzedakah campaign to raise money for our annual Chesed Mission to Israel) started, the commissioners decided that this year we should encourage students to donate in a new and fun way. On Tuesday, December 25th the Tzedakah Commission along with Rabbi Besser ran a very successful Goods and Services Auction. A Chinese auction of fun and creative prizes. Some of our teachers donated free lunch, tutoring, ice skating or martial arts lessons. One of our very own teachers, Mr. Amzalag donated a round trip ticket to Florida! We also involved the Seniors of 2013 to join in on the fun by offering to take students out for a day, help with peer tutoring or sending gift cards. The students at the Yeshivah of Flatbush had a good laugh at some of the prizes and tried to win, all while doing a chesed by giving tzedakah to the poor of Eretz Yisrael. Girls Dance Team Wins Big! The horrific events in Connecticut have rocked our nation, causing all to reflect on what is important and precious in life. Our students' well being - physical and emotional - has been uppermost in the minds of YOF faculty, staff and administration. Parents have received updates detailing our school's responses in helping our children cope with the news and our ongoing steps to maintain the utmost measures of preparedness and security on our campuses. This week, our SGO president, Michelle Sabbagh, shared her thoughts about the tragedy with her classmates. Victoria Soto heard the murderer approaching. A 27-year old first grade teacher, she had her entire life in front of her. Her immediate instinct was to protect those babies, her students. She pushed them into a closet. Some of her first graders tried to run. Ms. Soto put herself as the barrier between her students and the gunman. She tried to distract him. She told them her class was at the gym. She was shot and killed, but her life was not lived in vain. Vickie Soto gave her life to save her students. She is a hero. We can't change the past. The catastrophic massacre of this past Friday happened. While we can't change what happened, we can choose where we will go from here and how we'll respond. There are 27 families out there that are suffering. Our innate response upon hearing stories from this calamity is to connect to them as humans, to feel their loss, to empathize, and to appreciate what we have. As we all appreciate our families a little more after this event, we may have forgotten to stop and appreciate our home away from home. 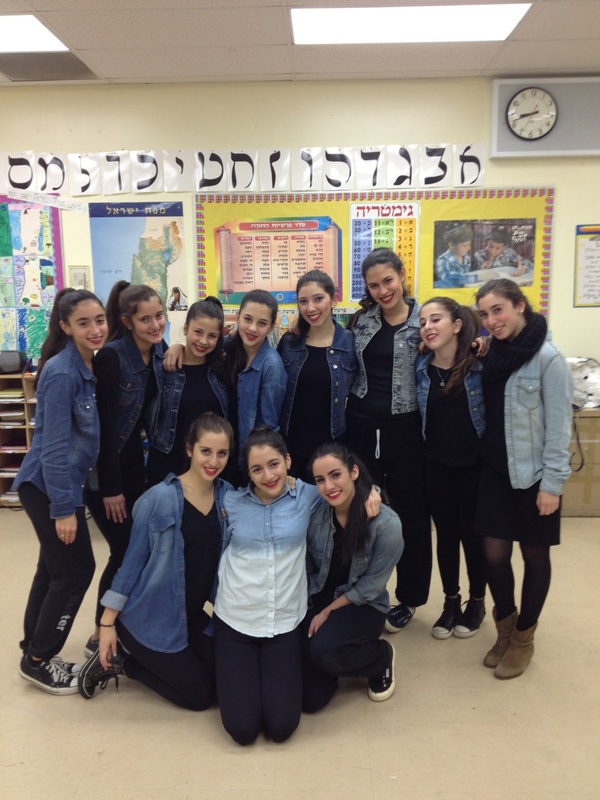 Flatbush is our second family, and like all families, sometimes we take it for granted. 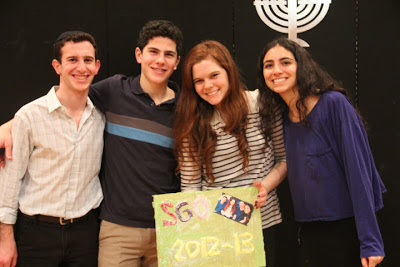 Last Tuesday at our SGO Chanukah Fair, our teachers showed us how much they care and how much fun we can have together. Our teachers care about us. Day in and day out, they give themselves to us: on trips and seminars; when they invite us for Shabbat meals; when they invite us to email them or speak to them during their lunch to address our concerns. They love us. Our administration invests time and energy to keep our building safe every day. We have fire drills and safety drills; we have an amazing security staff. At the end of the day, we spend more time in this building than we do in our own homes. We create unbreakable bonds with our friends here. We create memories for a lifetime. Take the time to appreciate your Flatbush Family. Smile at teachers. Listen to them. Thank them. We are nearing finals time. Tutor. Share. Be a better friend. As we contemplate an unimaginable horror, let us stand in solidarity with the families of Sandy Hook. Let us learn from the selflessness of the fallen heros. Let us renew our commitment to our family here at the Yeshivah of Flatbush. Let us aspire to become heroes ourselves. 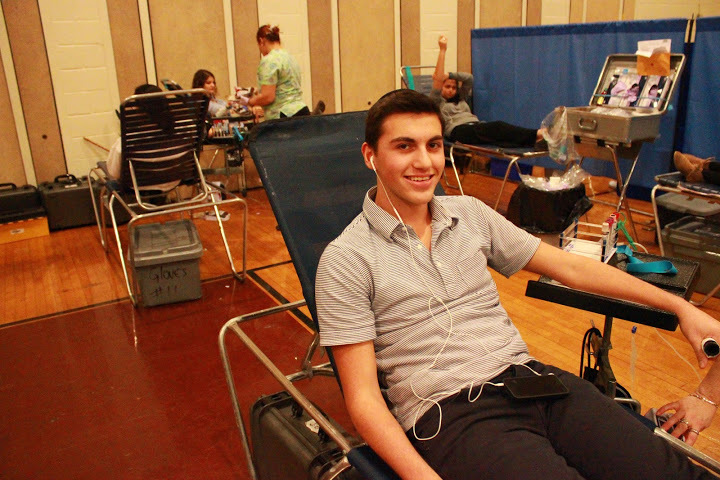 It's those small acts of selflessness that accumulate and define a person as an everyday hero. Let us dedicate, let us consecrate their memories with our renewed passion for kindness. As Arthur Ashe said, "True heroism is remarkably sober, very undramatic. It is not the urge to surpass all others at whatever cost, but the urge to serve others at whatever cost." As students walked into school each day last week they reflected on the tragedy in Newtown Sandy Hook Elementary School. A memorial video and candle with the names of all the victims were on display in the lobby. This video was taken from an electronics lab at the Yeshivah of Flatbush Joel Braverman High School during one of our STEM classes. The lab was a hands-on demonstrations of the effects of magnetism on electricity. When one side of the magnet is moved in front of the magnetic sensor, the lights go on, when the other side is moved in front of the sensors, the lights go off. This is a great sample of the Claymation art project that Sophomores at the Yeshivah of Flatbush Joel Braverman High School are doing with the iMotion app on their iPads. Yeshivah of Flatbush Joel Braverman High School students share their experiences and inspirations during Hurricane Sandy. Students learned the true meaning of Chesed by helping, giving, and sharing during the hurricane. 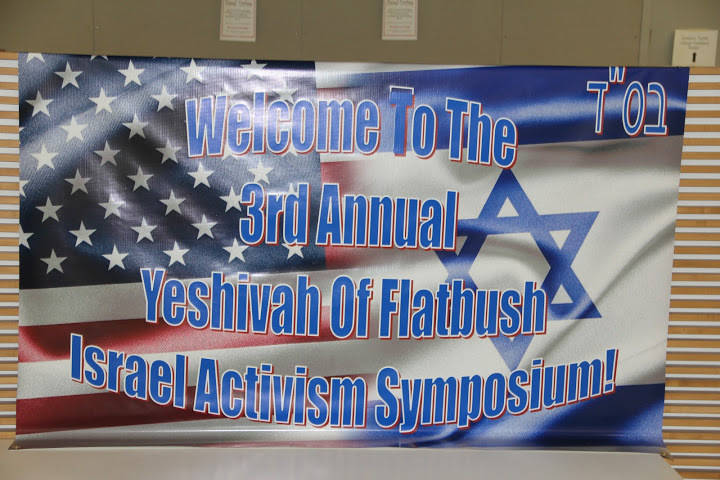 This weekend from December 7, 2012 - December 9, 2012, the Yeshivah of Flatbush hosted its 17th annual Thomas Hausdorff Memorial Basketball Tournament and Shabbaton in memory of a very well respected and loved principal at the Yeshivah. Thomas Hausdorff was a principal at the Yeshivah and after he passed away, a tournament was brought about in his honor. His love for learning torah and basketball is the reason why this weekend was so important. A committee of freshmen, sophomores, juniors, and seniors along with coordinators Mike Gelber and Rebecca Silberman invited schools from all around the country to play against the Yeshivah's Boys JV Basketball team. Teams from Detroit, Memphis, and New Jersey came to participate and the boys and coaches were invited to stay at homes on Ave J. 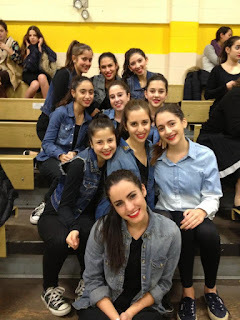 The tournament started off on Thursday night with a basketball game and a moving Yachad program. It then continued through an amazing shabbaton weekend with the help of Rabbi Besser making the boys really feel the Flatbush Shabbat ruach. On Friday night the players ate in the Yeshivah and then went to the beautiful home of Steven and Michelle Sasson where the participants sang Shabbat songs utill the end of the night. When Shabbat ended the tournament continued and students came to cheer the players on during the games. 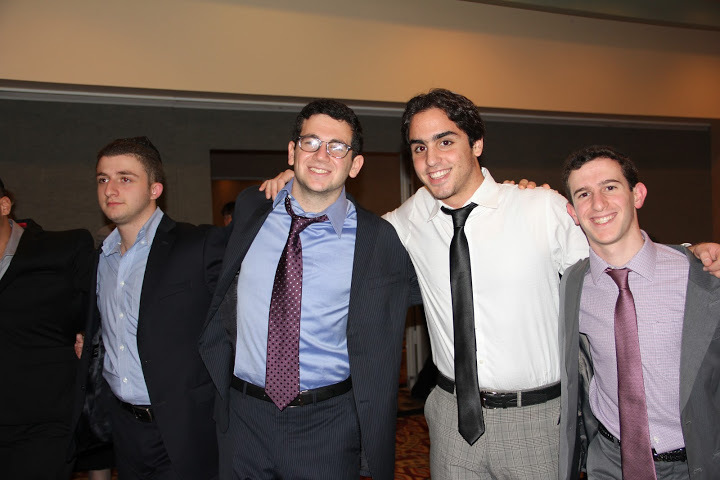 The tournament and shabbaton was a complete success, no one wanted it to end! 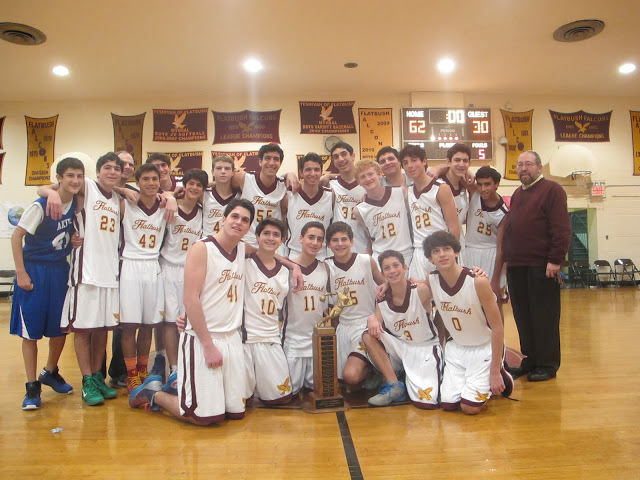 Congratulations to the Yeshivah of Flatbush Boys JV basketball team for receiving first place in the tournament. After one of the hardest semesters of our high school careers, the seniors finally got a break last Wednesday night. Taking a breather on the ice was just what we needed. The senior ice skating trip took place at Bryant Park. The temperature was perfect and the New York City lights were shining bright. 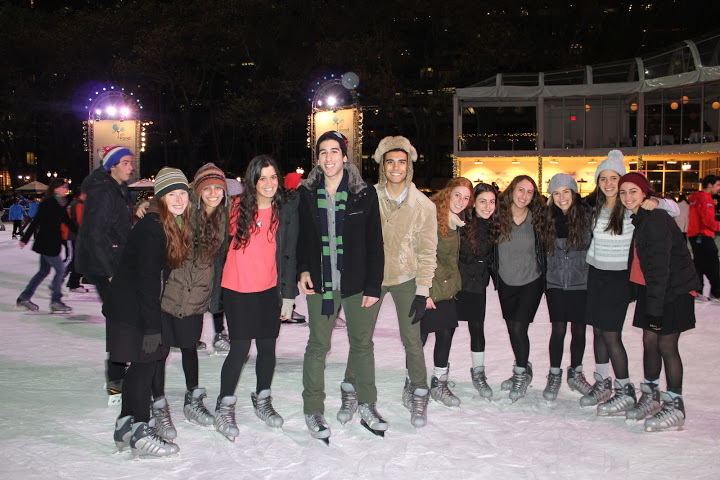 Flatbush students were gliding through the ice - well, some gliding...others casually trying to catch their balance. The evening was filled with skating, taking pictures and hot chocolate. As our bodies got colder, our worries slowly melted away. The night came to a close as we strolled down Broadway Avenue and ate dinner at the nearby kosher restaurants. It was truly a wonderful evening with the senior grade. This past week about 30 students from Yeshivah of Flatbush went down to Washington D.C. to participate in Panim el Panim, a 3 day seminar that teaches leadership and lobbying skills. This was an eye opening, hands on learning experience. We learned about various issues such as homelessness and Internet privacy. We participated in various activities to help us better understand and come face to face with these issues. A speaker from the homelessness coalition spoke to us about the challenges and realities of being homeless. In addition we took the food stamp challenge to experience how a family of four living off of food stamps has to budget themselves when they shop for food. This forced us to really look at prices and see how much money we actually spend on food and how much we take it for granted. We also interacted with homeless people at a local park in Washington. We spoke with them and gave them socks, hats, and gloves to help them get through the winter. It was shocking to hear their stories and a really eye-opening experience to speak with them and to hear how much faith they have in G-d and to see that they are normal people just like us who have fallen into an unfortunate situation. We had many debriefing sessions where we discussed what we learned and how we can bring what we learned back home. In addition to learning about homelessness we also discussed issues that we felt were important to us. We learned how to effectively lobby our congress member and/or his staff member and how important it is for us, at such a young age to voice what we believe in. We had discussions and broke into groups to prepare for our meetings. When we walked up to Capitol Hill Wednesday morning we were ready and well prepared. The group I was with had an appointment scheduled with a staff-person from the office of Bob Turner, a congressman who was not re-elected this year. Although Congressman Turner was not re-elected his staffer will continue to work for other congress members and will keep in mind the issues we spoke about. After that meeting we were able to get a second meeting with a staff member of Yvette Clarke, who is the congresswoman of the district our school is located in. We were able to get this meeting due to connections Joey Cohen-Saban (HS '11) had made on previous lobbying missions to the office. He was with our group and was able to call up the staff member from his phone and arrange a meeting on the spot. This showed us that these meetings really do matter and not only do we have the power to create a relationship with out congressmen, but also that it is extremely easy to do so. We spoke with the staff member of Yvette Clarke on three issues we felt were important to us. We discussed the current situation in Israel, the intensity of the fiscal cliff, and the need for more government funded scholarships. After discussing these issues with the staffer, we took his business card, left the office, and headed out for a tour of the Capitol. Our meeting, however didn't stop there. After we left we made sure to email the staffer about the meeting we had just had to thank him for his time and restate our issues. We also sent out emails to the congresswoman to let her know that we had stopped by and explained to her the issues we spoke about. We intend to maintain a relationship with the congresswoman and the staff member and to hopefully return to Washington and lobby them again in the future. 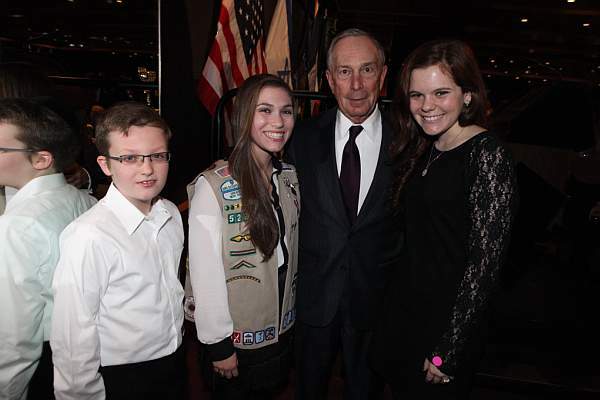 Four students representing the Yeshivah of Flatbush recently won high honors in this year's WordWright Challenge, a competition for American high school students requiring close reading and analysis of many different kinds of prose and poetry. In this year's first meet, held in October, junior Aliza Kantrowitz was one of the 23 highest-scoring eleventh graders on the entire country, while senior Daniel Shuster was one of the 104 highest-scoring twelfth graders nationwide. Freshman Lea Linfield and Albert Rahmey placed among the 159 highest-scoring ninth graders nationally at the same time. More than 58,000 students from 46 states (and four foreign nations) entered the meet. The school's participation was overseen by Shifra Hanon. The premise behind the WordWright Challenge is that attentive reading and sensitivity to language are among the most important skills students acquire in school. 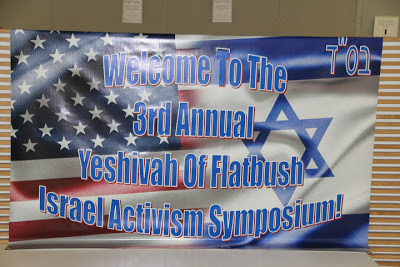 On November 29, 2012, the Yeshivah of Flatbush held its third annual Israel Activism symposium. 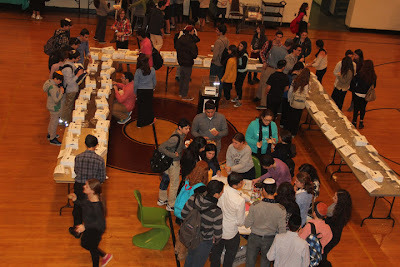 Schools including Magen David, Hanc, North Shore, and Shulamith attended the symposium. 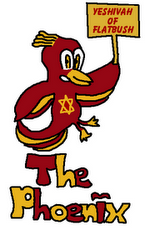 The program's goal was to show students the importance of advocating for our homeland Israel. Students learned that in no way shape or form should the US-Israel relationship be taken for granted. Speakers from AIPAC, BBYO, and Stand With Us, informed and educated the students about the importance of Israel as a Jewish state, an American ally, and as our homeland. The sessions were interactive and interesting for the students. 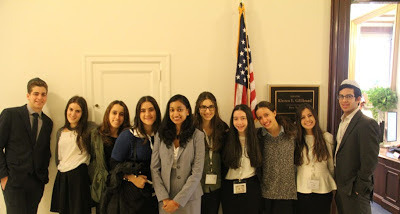 After the program the students were not only excited to go out and do their part in calling their representative or setting up a meeting with them, they were inspired to share their knowledge and convince their friends that going out to advocate for Israel is so easy yet so important. ~Asher Lifshutz, Sophomore.